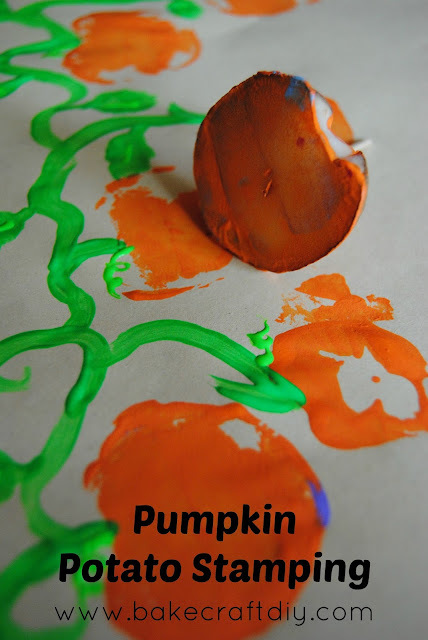 This pumpkin potato stamping craft was so easy and a fun craft for my two year old to do! We used one potato cut into thick chunks and tooth picks to hold our stamps by. I've seen a lot of potato stamp projects that have you just cut the potato in half and using the round end of the potato to hold onto but we wanted to do a couple of different shapes without using a lot of potatoes. My son is currently learning the alphabet so I carved out his name to use as well as a couple of other shapes. I really love the way his pumpkins turned out, next time we might put them on fence posts to go along with the Five Little Pumpkin poem! 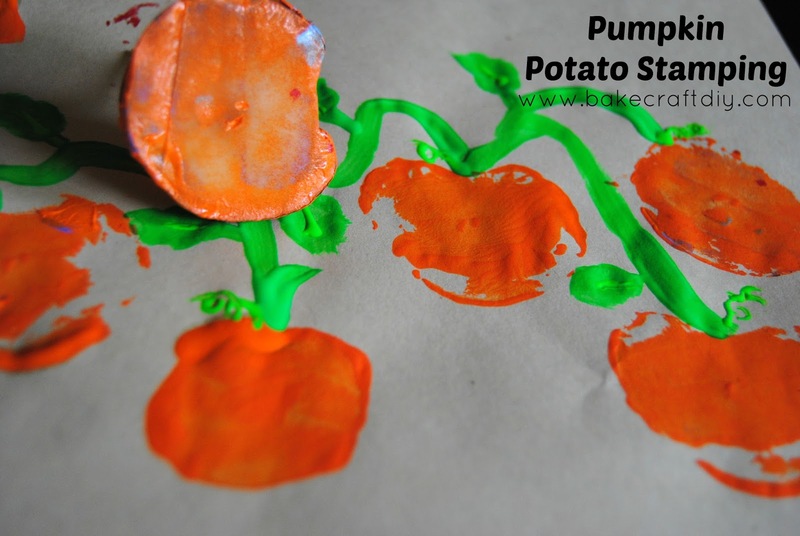 We had a lot of fun with this potato stamping craft and hope you all enjoy it, too!! Wouldn't kids have a good time with this? And us adults of course. You could carve whatever you want in it. You definitely have a chance to be creative when making your shapes! My son would LOVE this craft. He has a fondness for pumpkins ever since he grew one for me for Mother's Day. I think we may try this soon. Thank you for sharing this fantastic idea on our Welcome Home Wednesday link party.